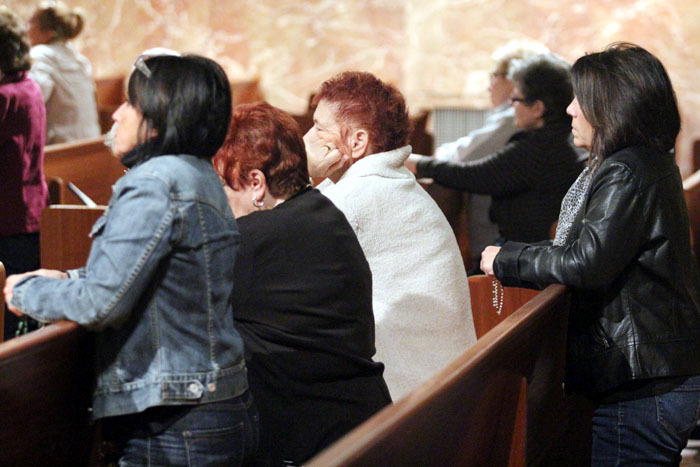 Parishioners of St. Paul pray the rosary. 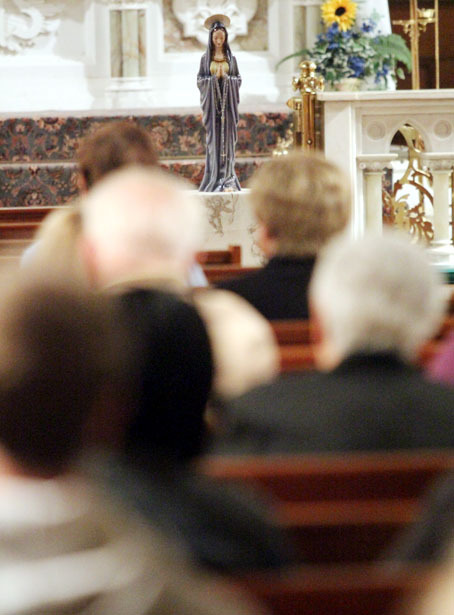 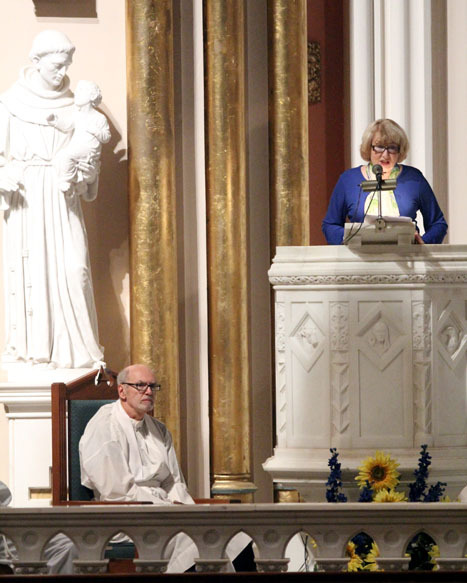 Dorothy McShane shares the story of her faith with the congregation at St. Paul’s. 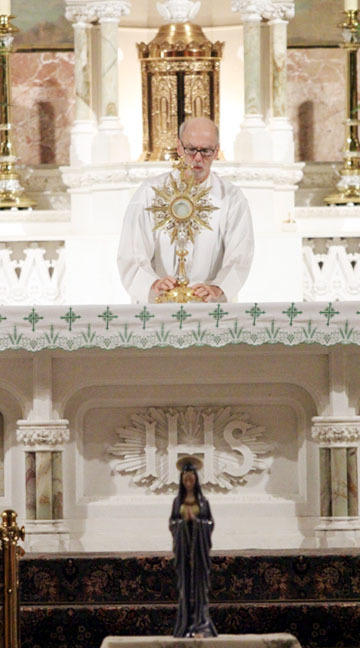 Father John Large, pastor of St. Paul Parish, places the monstrance with the Most Blessed Sacrament on the altar for adoration. 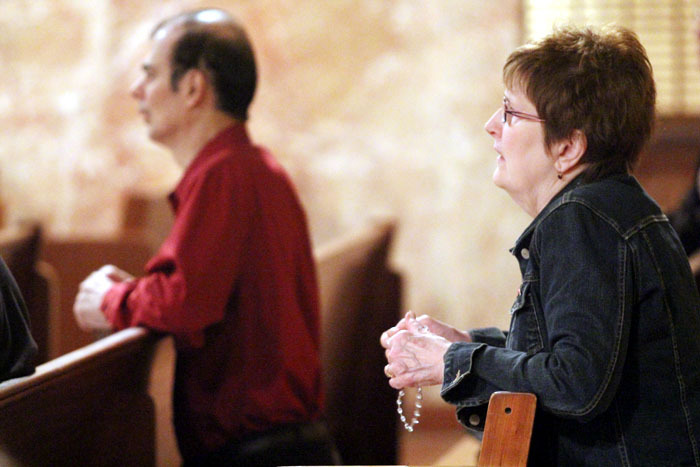 Dolores Macrina prays during the close of the rosary novena Oct. 7. 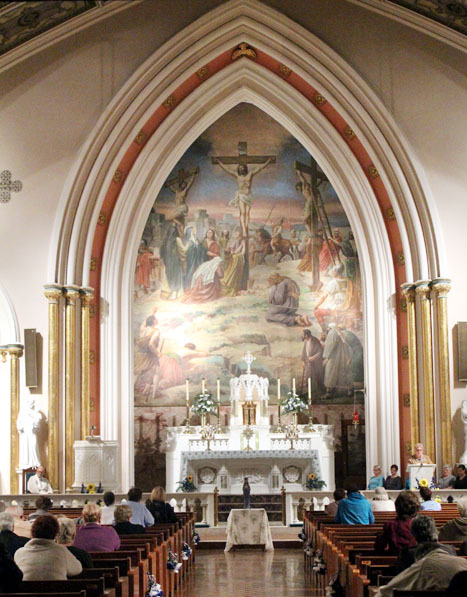 The interior of St. Paul Church, located at 10th and Christian streets in South Philadelphia.